100 photo collage maker – 250 FREE templates & printing as a number! Creating a 100 photo collage can be a lot of work – but it doesn’t have to be. If you upload your photos into our 100 photo collage maker tool, a photo collage for 100 photos can be created automatically. 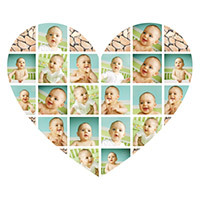 All photos will be transferred automatically into the photo collage template for you. With 100 photos, this saves you an enormous amount of time. If you are not entirely happy with the arrangement of the photos, you can rearrange them as often as you like. 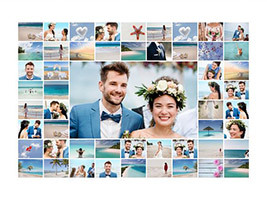 At the click of a button, the 100 photo collage maker rearranges the photos for you again and again. Of course you can also rearrange them by hand if you prefer. And you also have editing options such as cropping and colouring. Tip: Upload all 100 photos together. You collage will be filled with the photos automatically. Tip: For collages with many photos, we offer XXL formats: Max. 160 x 120 cm. 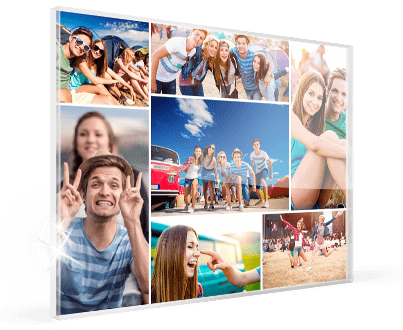 Once you’ve found the perfect position for all of your photos, the 100 photo collage maker gives you the option of printing your collage. Printing onto canvas or as a poster are particularly suitable for this. 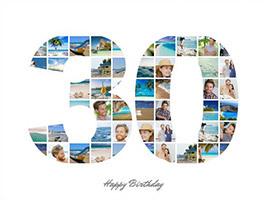 But if you have created a photo collage for 100 photos, you should be careful with the size you select for printing. Choosing a small size will mean that the 100 photos are too small to be seen clearly. 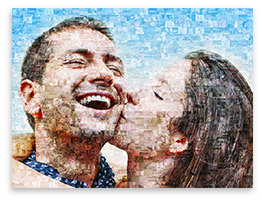 The photo collage for 100 photos is the largest photo collage in our collection in terms of photos used. If you don’t need as many as 100 photos, you should also have a look at our other collage templates. 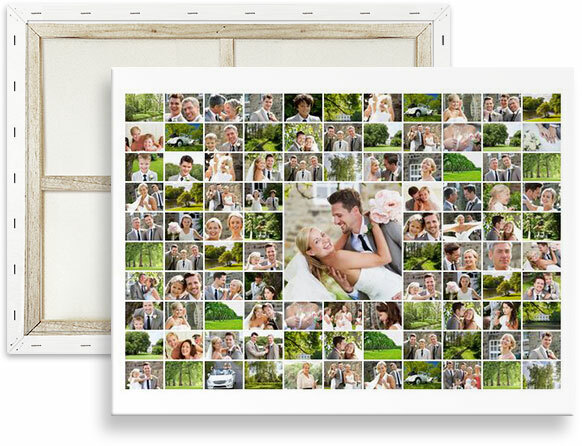 You ‘ll find many other interesting templates, e. g. for a wedding collage. That’s a big advantage when creating a collage with many photos. Admittedly, a photo collage for 100 photos is a lot of work. But creating a collage with our 100 photo collage maker couldn’t be easier. 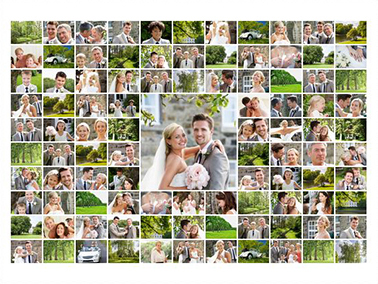 Our tip: Just give it a go and create a photo collage with 100 photos!